Carlene West, Tjitjiti, 2015, Synthetic polymer paint on canvas, 78 3/4 x 53 47/50 in. 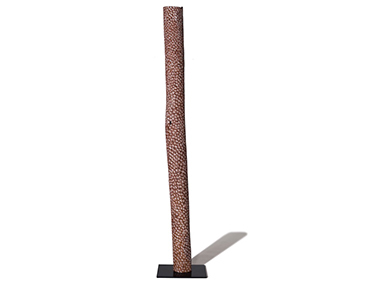 (200 x 137 cm), © the artist, courtesy Spinifex Arts Project (Raft Artspace) - a tip off from our very own Jeremy Eccles - Photo Credit: Sid Hoeltzell. As interest in Aboriginal art continues to grow in the US, a new major exhibition of women Aboriginal artists is set to tour five distinguished museums beginning September 2016 - and it was new Australian Embassy Ambassador, Joe Hockey, who announced it. Organised by the Nevada Museum of Art, Marking the Infinite: Contemporary Women Artists from Aboriginal Australia will travel to museums in New Orleans, Florida, Nevada, Washington and Canada over a period of three-years and feature 70 works by nine artists - Nonggirrnga Marawili, Wintjiya Napaltjarri, Yukultji Napangati, Angeline Pwerle, Carlene West, Regina Pilawuk Wilson, Lena Yarinkura, Gulumbu Yunupingu, and Nyapanyapa Yunupingu - all drawn from the collection of Dennis and Debra Scholl. 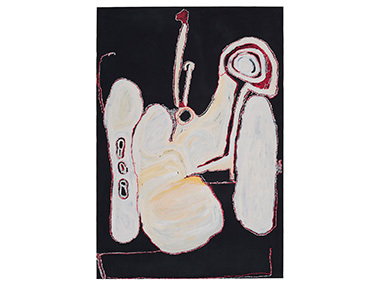 It's the second time a major touring exhibition of Aboriginal Australian art has been based on Scholl's Collection, the first is the highly successful exhibition of male painters, No Boundaries: Aboriginal Australian Contemporary Abstract Painting, which ends this year. Unlike No Boundaries, many of the paintings in Marking the Infinite were commissioned especially for this exhibition, with Scholl travelling to Australia to meet with many of the artists. Reflecting on the experience, Scholl says, "I was struck by the relationships of the artists to their ancestral land, each other and to their communities. Having found these artists so personally compelling, I wanted to help bring their work to audiences across North America." Marking the Infinite will be accompanied by a catalogue featuring essays by Hetti Perkins, Tina Baum and Cara Pinchbeck, as well as anthropologists Howard Morphy and John Carty. It has been edited by Australian Aboriginal art scholar Henry Skerritt, who also had a hand in developing the exhibition. Marking the Infinite: Contemporary Women Artists from Aboriginal Australia will open at Newcomb Art Museum, Tulane University, New Orleans, LA (September 2016 - January 2017); before traveling to the Patricia & Phillip Frost Art Museum, Florida International University, Miami, FL (February - May 2017); Nevada Museum of Art, Reno, NV (February - May 2018); The Phillips Collection, Washington, DC (June - September 2018); and the Museum of Anthropology, University of British Columbia, Canada (November 2018 - Feburary 2019).